One of the biggest reasons for my lifelong love affair with Star Trek is the amazing Star Trek technology. Since the very beginning, Gene Roddenberry imagined Star Trek as an idealized future for humanity, where we have been able to set aside our petty differences and work for the betterment not just of mankind but an entire alliance of alien races as well, by using their incredible technology. This fantastic vision has helped inspire several generations of Trekkie engineers to try and develop the wonderful devices that lead them to fall in love with the show in the first place. Being an engineer myself, it’s kind of fun to think about what we have already been able to achieve and where we still have to go. One of the simplest and most ubiquitous pieces of tech found on the Enterprise is the PADD. A small data entry device, slightly larger than a book and about as thick as a yellow legal pad, they are used for everything from writing an official report to serving as a catalog for wedding dresses. When Star Trek writers want to make it look like a character is hard at work, they usually show them half out of uniform, sleeves rolled up and a table covered in PADDs. In January of 2010, the late, great Steve Jobs announced a new Apple device. 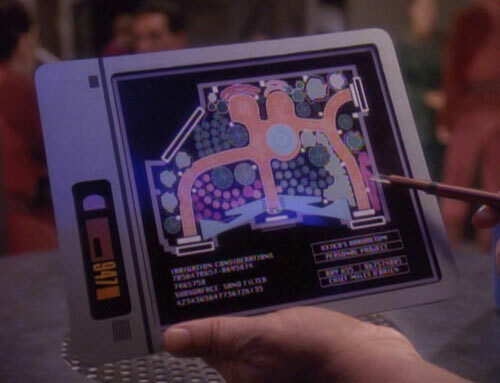 Not just inspired by Star Trek, the iPad has been almost completely ripped off Star Trek. It even had almost exactly the same name and bore more than a striking resemblance to the Star Trek device, albeit a bit larger. 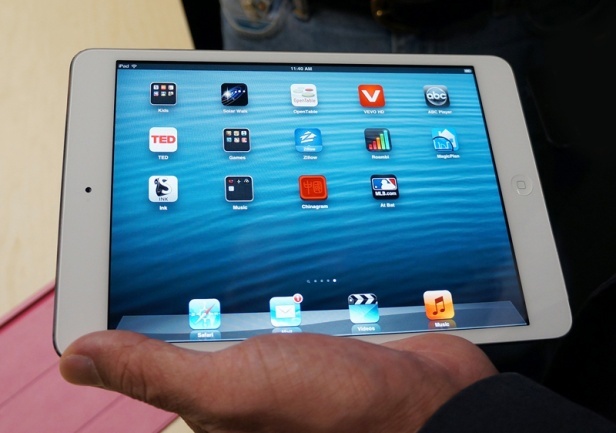 Flash forward to 2012 and a few iPad models later, Apple announced the iPad mini, which is now basically the same size as a PADD. This is one of the few times blatant plagiarism is absolutely acceptable. Not as universal as the Pad, this little device is much more iconic. 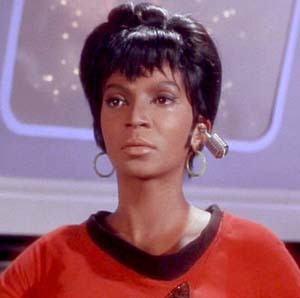 A quick Google image search for Uhura will come back with hundreds of images of her sitting at her station wearing her ear piece. It’s so iconic in fact that it was also included without change in J.J. Abrams 2010 reboot. Although essentially gone by the time of The Next Generation, for 1960’s America this ear piece was quite the impressive device. They had never seen a wireless device this small that would so easily fit into someone’s ear. Those of us living in the 21st century, however, see this all the time. 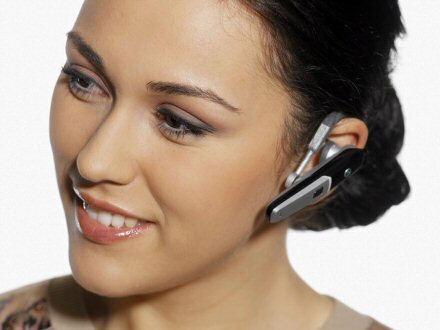 We call it a Bluetooth headset. People in their mid-twenties or older remember that when Bluetooth first came on the market, it was used almost exclusively as a hands free devices for phones. This lead to many humorous moments trying to figure out if someone was on the phone or if they were crazy and talking to themselves (especially if the conversation got particularly heated). Now we’ve grown use to seeing this, but in the early 2000’s it was pretty damn funny. This is honestly as glorious as it looks. 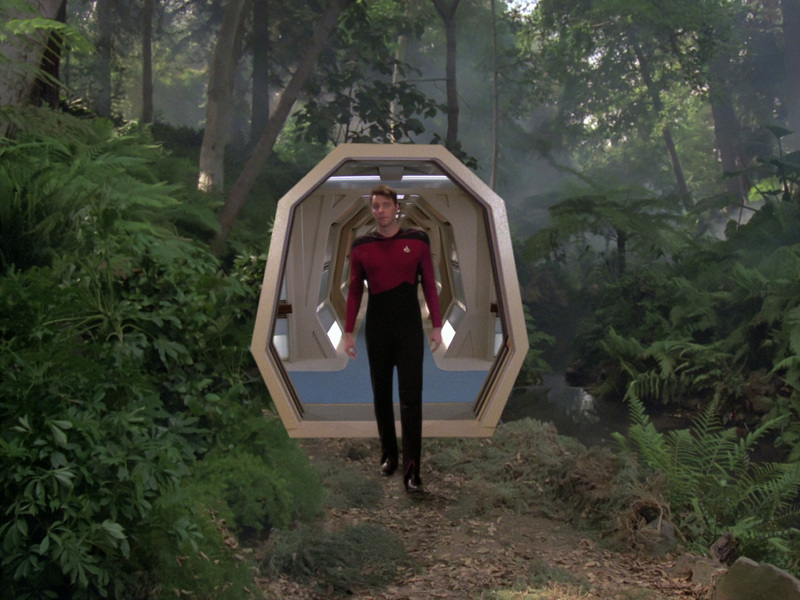 In the pilot of The Next Generation, Riker goes to find Data on the Holodeck, a room where the entire environment, including interactive characters, is artificially generated. The system started off very basic, but as the show progressed (and budgets increased) entire episodes would be set on the Holodeck. This simple room allowed the crew of the Enterprise to visit far off alien planets, fantasy worlds, or various historical periods (Worf in the Old West was one of my favorites). 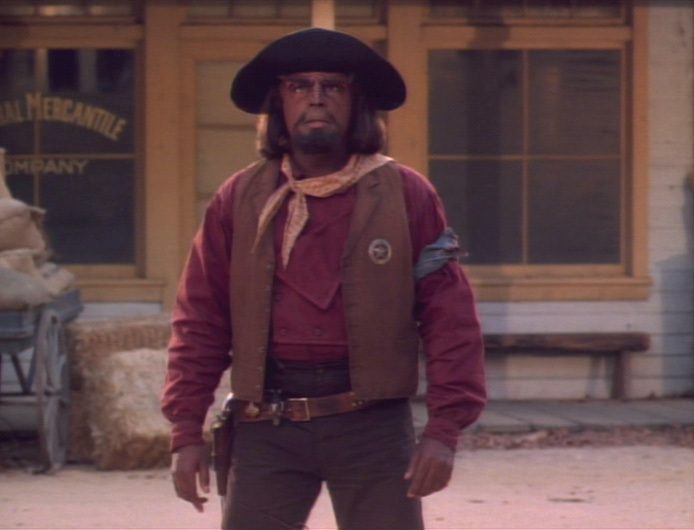 Frequently these episodes would end up revolving around something going wrong with the Holodeck, so much so that even the show made a joking reference to it in an episode of Deep Space Nine. I hope I look this good when I’ve been dead 16 years. In April of 2012 at the Cochella Music Festival the audience was treated to a surprise performance by rapper 2Pac. 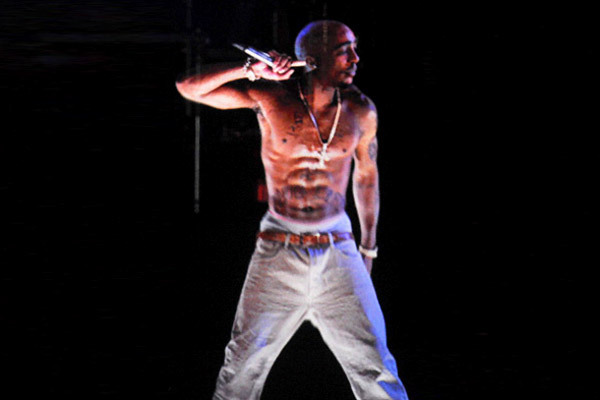 This appearance was a huge surprise because 2Pac has been dead for sixteen years and this unbelievable feat was accomplished through the use of holograms. While it isn’t the Holodeck yet, it is a considerable advance in holographic technology. This same technology is being used in Japan to create an entirely artificial pop music star, Hatsune Miku. We aren’t that far away from completely interactive worlds that we can explore. What Star Trek Tech do you want to see make its way to our modern world? Let us know down below in the Comment section.